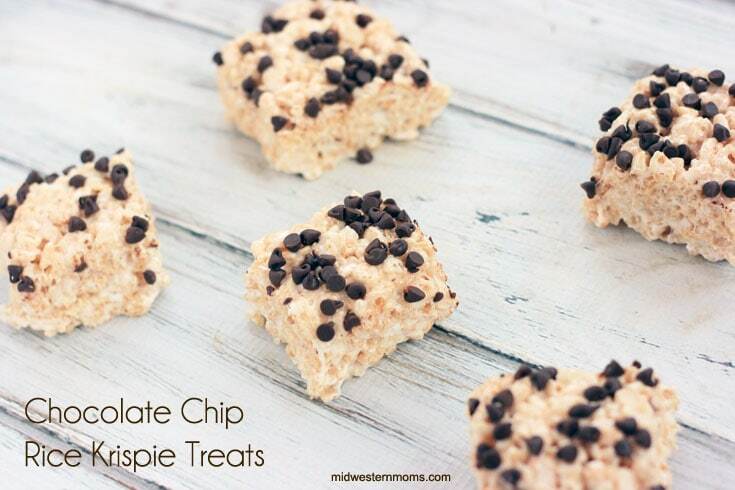 Wanting delicious and soft chocolate chip rice krispie treats that you can’t get enough of? 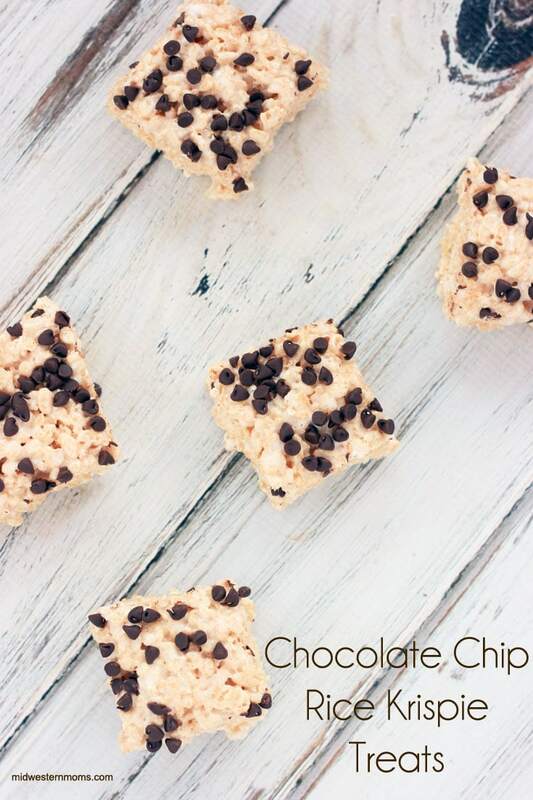 Adding chocolate chips to your treats steps them up a notch. YUM! My son has been wanting some rice krispie treats again. They are his favorite treat and he loves to help me count out the cups of marshmallows needed for the recipe. We are always trying to change them up so we don’t get too bored with them. I was wanting a little bit of chocolate so this time we topped the treats with mini chocolate chips. 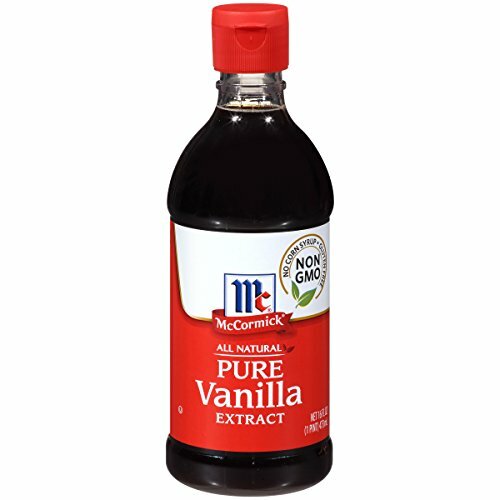 This recipe is a modified version of this treat recipe. Ever since I made that recipe, I can’t go back to the original recipe. They are just so gooey and delicious. Plus they are perfect for the kids since they are not hard. If you are needing some help when making these delicious treats, check out these tips for making the best rice krispie treats. 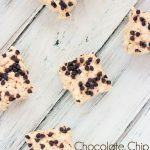 Delicious gooey rice krispie treats topped with mini chocolate chips makes for a great dessert for the family. 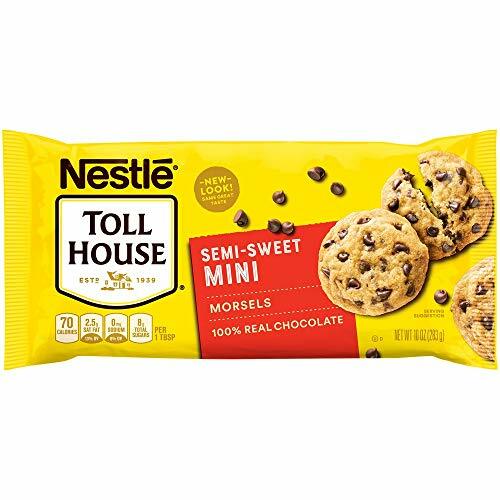 Sprinkle the mini chocolate chips on top of the treats and press down gently to make them stay on. Hello! I bet you could put Peanut Butter in them, however, I don’t know exactly how much to put in. Feel free to test it out and let me know how it goes! Do these have to be refrigerated because of the milk? Looking forward to trying this out! I haven’t refrigerated them, I have kept them at room temp. I like to make them with Cocoa Krispies to give that Cocoa taste. I also like to put candy corn in them around the Fall holidays.